04/12/2018 At Warrington Garage Door Repair, we’re the first to admit that it’s annoying to have to hire a separate service provider for all your home maintenance needs—a separate plumber, a separate locksmith, electrician, dishwasher repairman, and whatever else you can think of! Some repairs you can do yourself, with minimal training, but when it comes to garage door repair, you really need an expert. Garage doors are heavy and mechanically complex. Replacing a garage door spring, for example, is much harder than it might seem. That’s where Warrington Garage Door Repair comes in. In-the-know Warrington residents know that they can count on our team of licensed, insured experts to handle their garage door repairs. 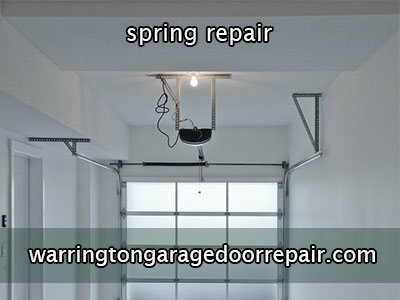 We have repaired hundreds of garage doors all over Warrington, including replacing springs. Give us a call today! Call us today: (215) 795-3474 Our operators are available to take your call 24 hours a day, 7 days a week, so we’re always just a phone call away. If your garage door spring breaks in the middle of the night, give us a call, and we’ll head on over. Better yet, we offer on-the-house consultations and price quotes. No wonder Warrington, PA residents hold us in such high esteem! It doesn’t matter what brand your garage door is— the experts at Warrington Garage Door Repair have worked with them all, from Clopay to Genie. With all the garage doors we’ve replaced and installed, nothing is beyond our capabilities. 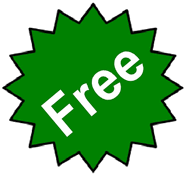 Call Warrington Garage Door Repair for your free consultation now!